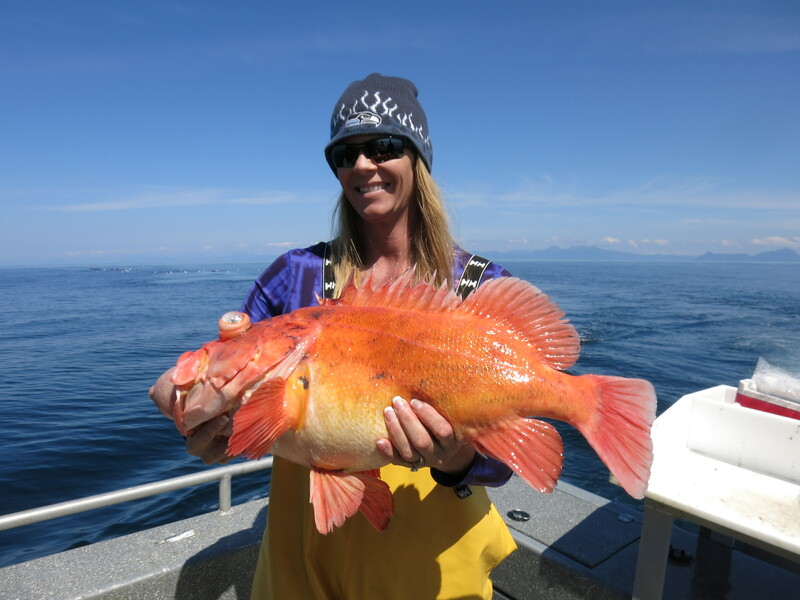 You will fish for King and Silver Salmon, Halibut and many other species of rock-fish on the Pacific Ocean out of Sitka, Alaska every day during the season. 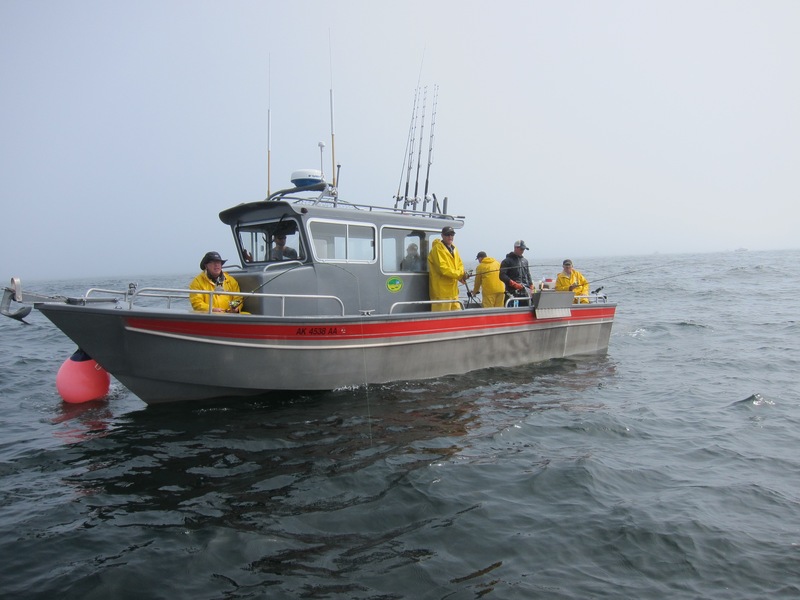 You will fish aboard one of our 32″ Custom Almar fishing boats with an experienced Captain and Deckhand on board. All fishing gear, rain gear/boots are provided for you, no need to pack and carry unnecessary gear along on this trip. 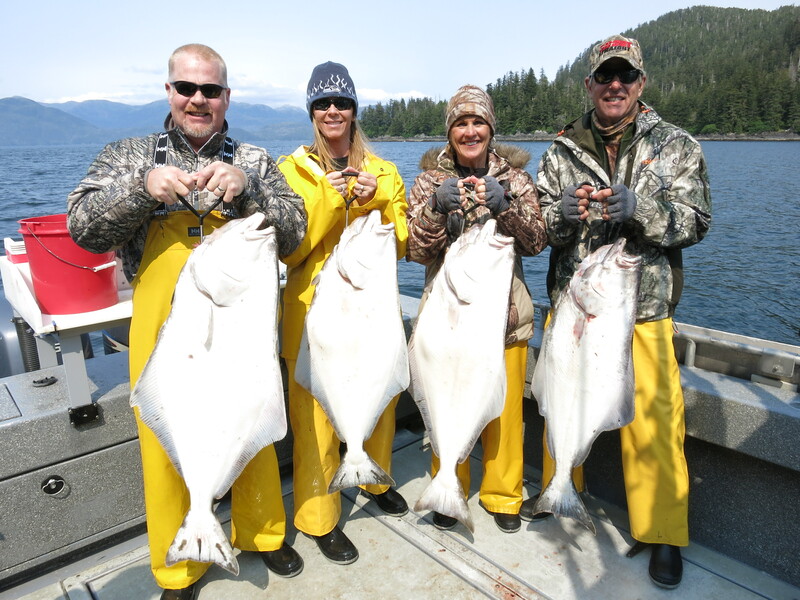 You will be staying in a spacious 2-story Lodge overlooking the Sitka Sound, enjoying breakfast each morning prior to a day’s fishing with your lunch provided each day on the boat. You will come back from a full days fishing to a hot shower, relaxation with appetizers and dinner prepared for you by the Chef. Amenities Include: 1-bath to each double occupied room, seating area with Cable TV upstairs and downstairs, card table, pool table, and Wi-Fi all in a comfortable atmosphere. 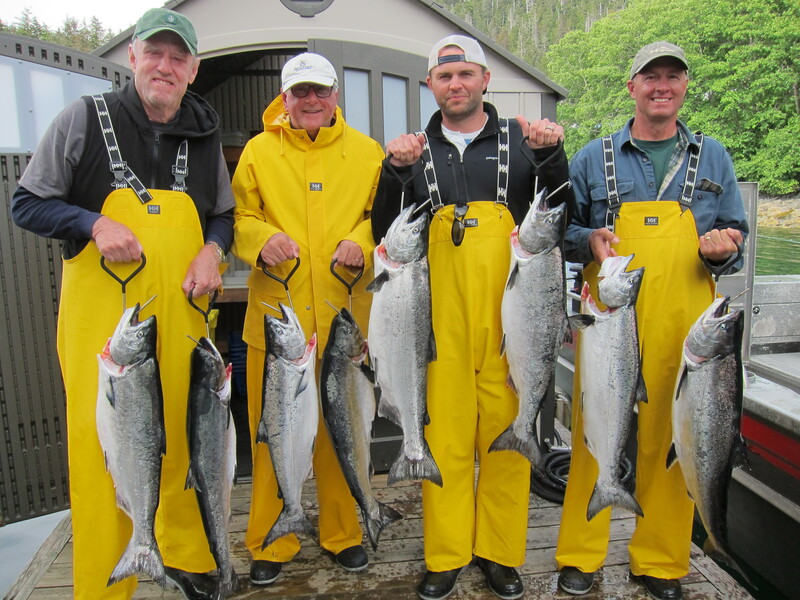 Trip includes lodging, meals, rain gear/boots, fully guided fishing and fish processing. Includes Lodge amenities of cable TV and Wifi. 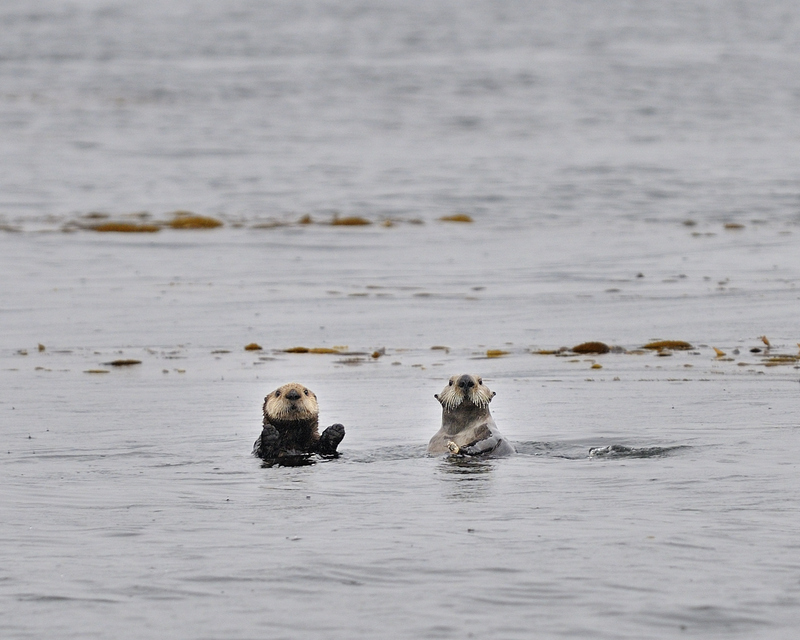 airfare, before/after trip accommodations, arrival day meal, Alaska Fishing License, King Salmon Stamp and gratuities. Two level Lodge with 9 rooms/2 per room with a bathroom in each. Seating area up and down, dining/bar area, deck with seating in open area and covered area. 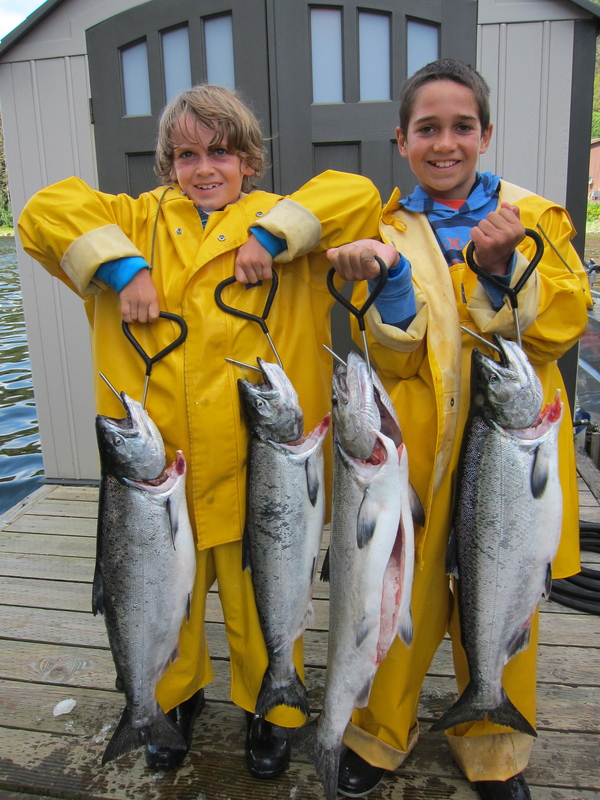 full 3 and 4 day fishing trips with accommodations.